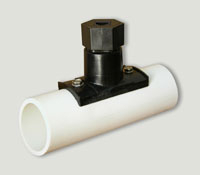 2" Pipe Adapter Part # 500-10010-20 Allows you to mount Sensor on 2” diameter pipe. Copyright © 2013-2019 Catcon Products. All rights reserved.